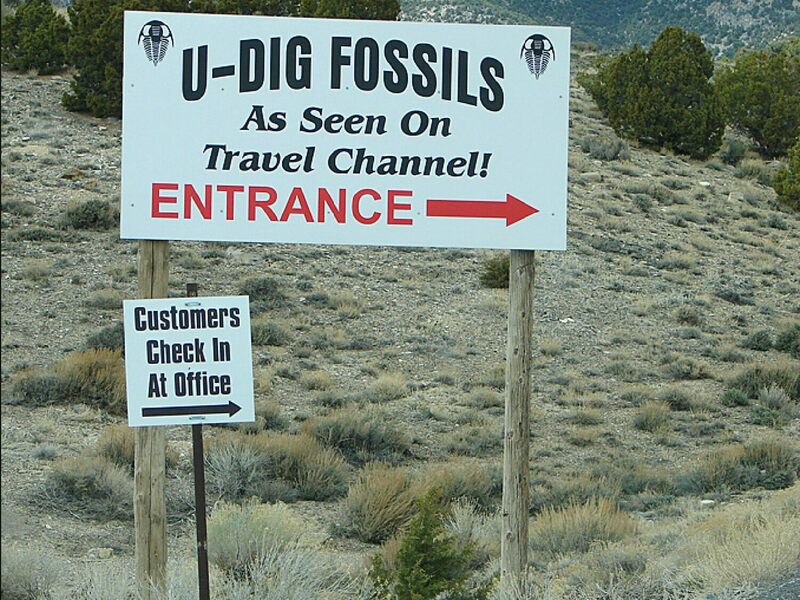 U-Dig (www.U-DigFossils.com) is a private, fee-dig trilobite quarry near Delta, Utah. 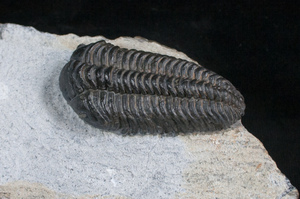 It contains one of the most prolific trilobite assemblages in the world. I dug my first trilobite there more than 15 years ago, and countless others have been introduced to the world of fossil collecting at U-Dig. 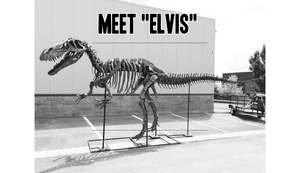 It’s a great place for pretty much anybody to find their own fossils including families, kids and people who’ve never collected a fossil. 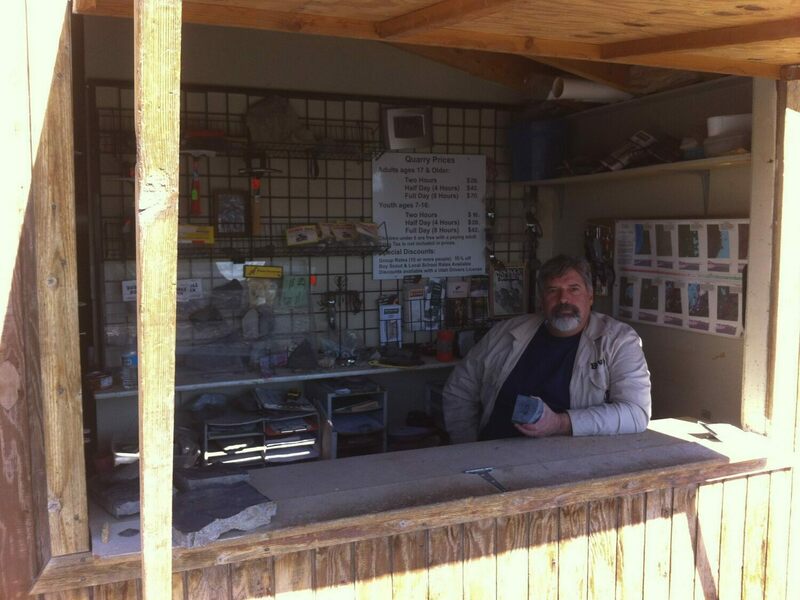 For a hourly fee, they supply tools, helpful guidance, unlimited rock to split and you get to keep everything you find. 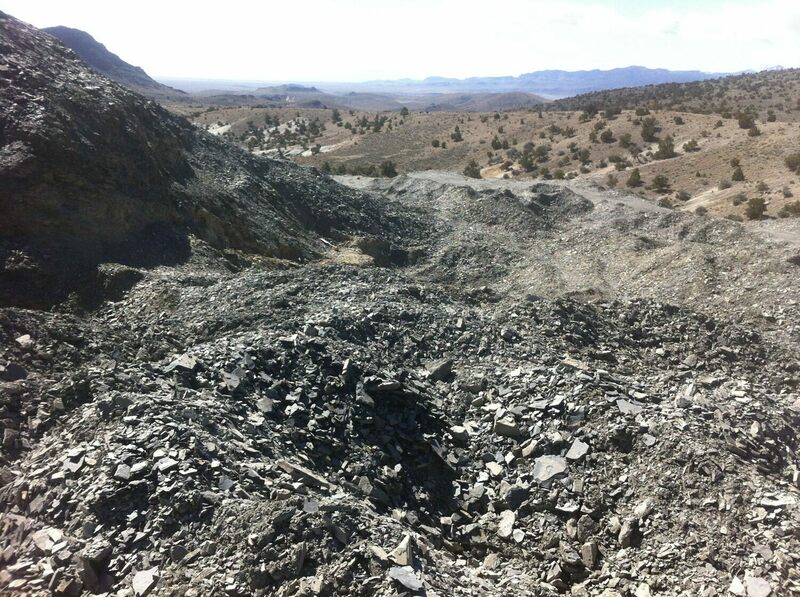 For the previous week I had been in search of rare trilobites in the deserts of Utah and Nevada. The process involved days of moving heavy overburden and cracking hard limestone with a sledgehammer. 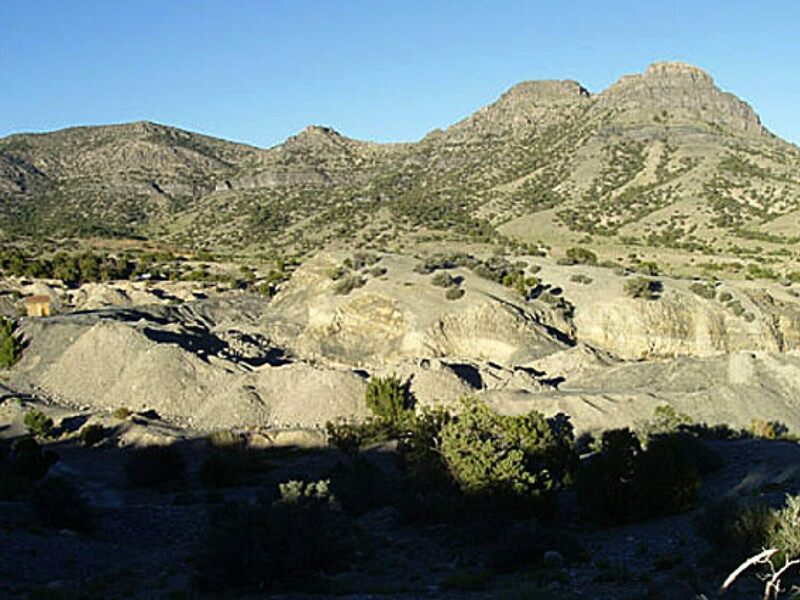 I had been going on three or four days straight of not finding a decent complete trilobite, so not only was my body feeling a bit worn out, but I was getting pretty frustrated. 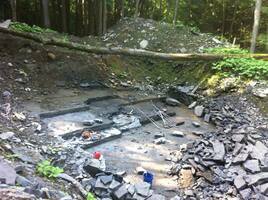 I decided that take a day off and “rest” by visiting U-Dig to split some nice soft shale. Plus, I was basically guaranteed to find some complete trilobites even if they were just common species. 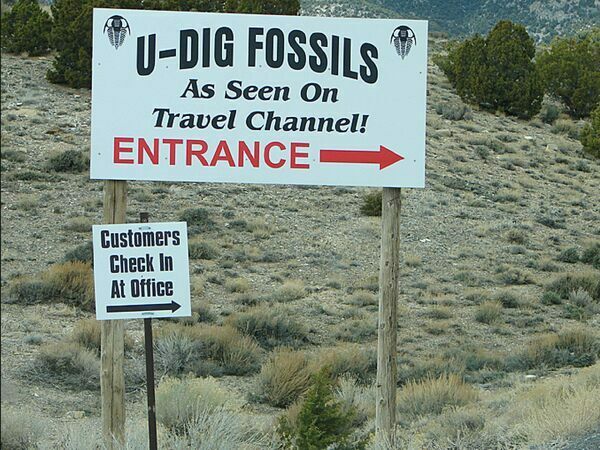 U-Dig is located in a particularly fossiliferous section of the Middle Cambrian (505 million years old) Wheeler Shale. 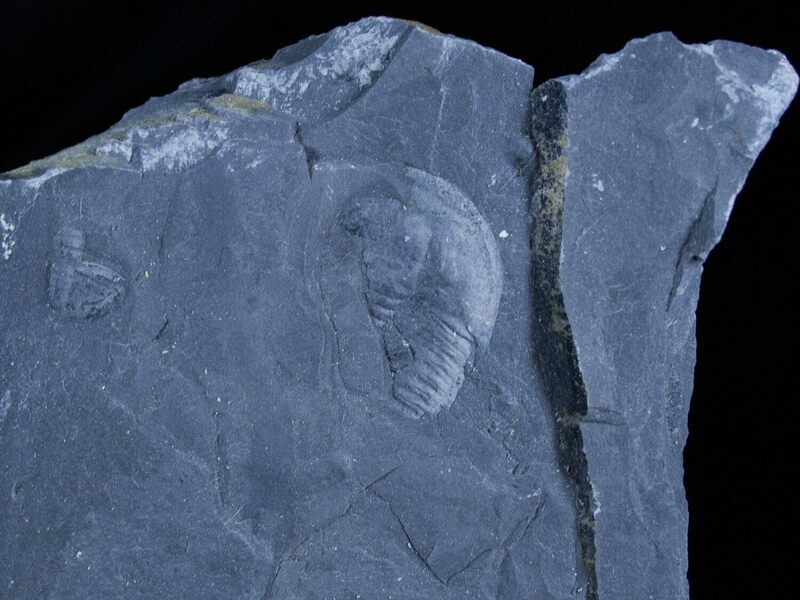 There are 4 species of trilobites commonly found at the quarry; Elrathia kingii, Asaphiscus wheeleri, Bolspidella housensis and Peronopsis interstrictus. If you spend a few hours splitting rock at the quarry and have a sharp eye you’re more than likely going to see all four of those. 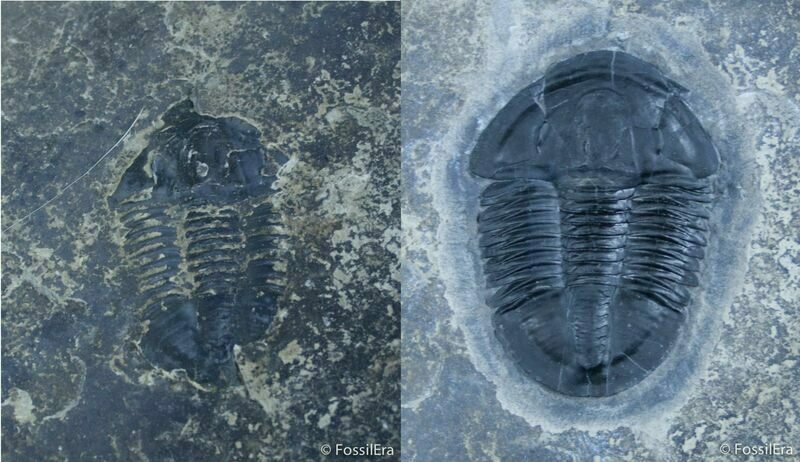 There are two rare types of trilobites found in the quarry Altiocullus (2 species) and Olenoides (2 species). Only a handful of complete Altiocullus at the quarry in a season and a complete Olenoides only shows up once every few years. Besides the trilobites there are a number of other fossils including brachiopods, algae and phyllocarids. 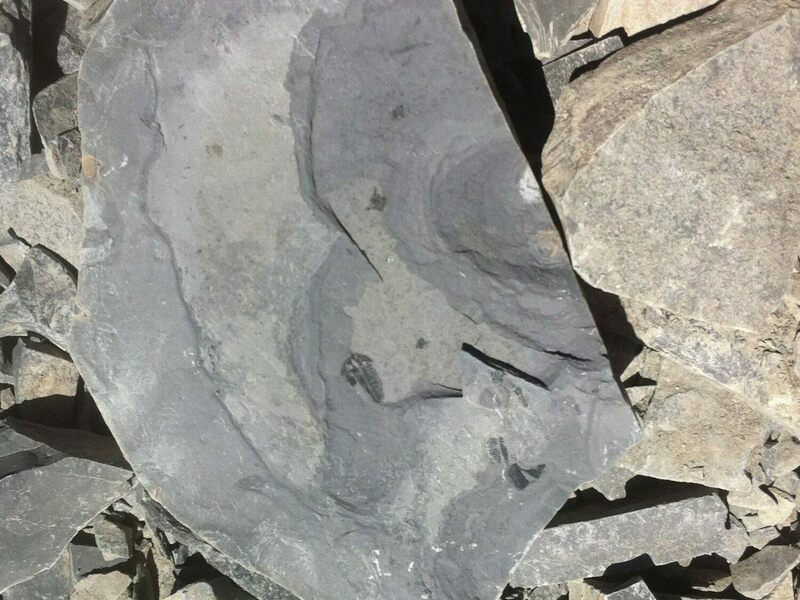 There is also a rare, burgess shale like, soft bodied fauna in certain layers of the quarry but it really takes a trained eye to identify it, as to most people it just looks like a black stain on a black rock. 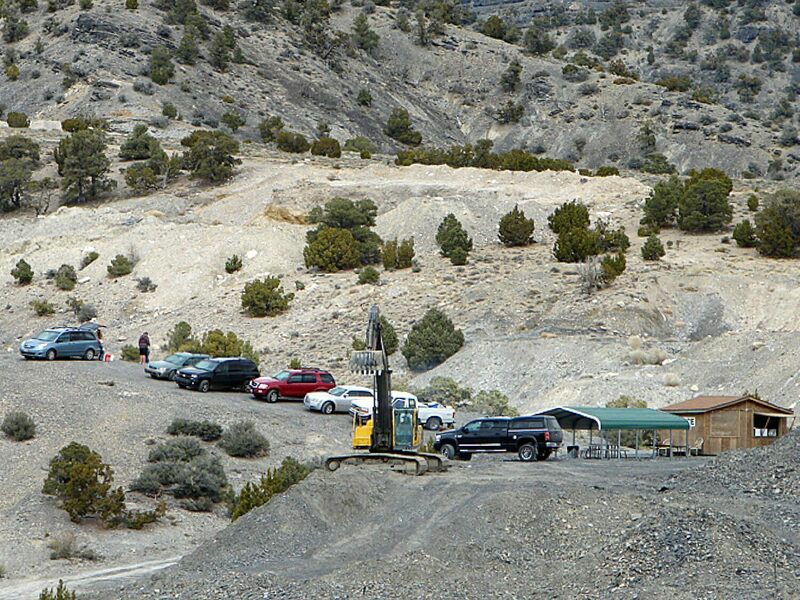 I arrived at the quarry on what happened to be their opening day for the season so there were only about ten people at the quarry. On a summer weekend day the place will often be packed with dozens of people. It also meant there were plenty of big blocks of shale in the quarry that had been recently pulled out with the backhoe. I decided to spend my time break down some of the larger blocks and see how many trilobites I could find. I preferred to go for the large blocks of shale, often covered in hammer marks from other people who’d tried to split them and given up. 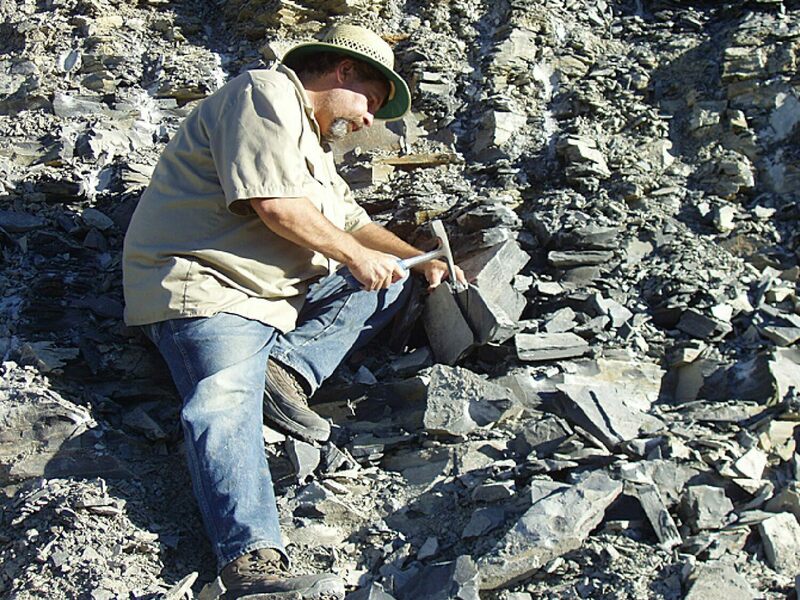 Breaking the larger blocks was the most efficient way for me to see a lot of surface area with the least effort, and have the best chance at getting largest trilobites centered on a nice piece of rock or finding multiple plates. A solid wack with the edge of a 4 lb. crack hammer would typical split these blocks pretty easily. 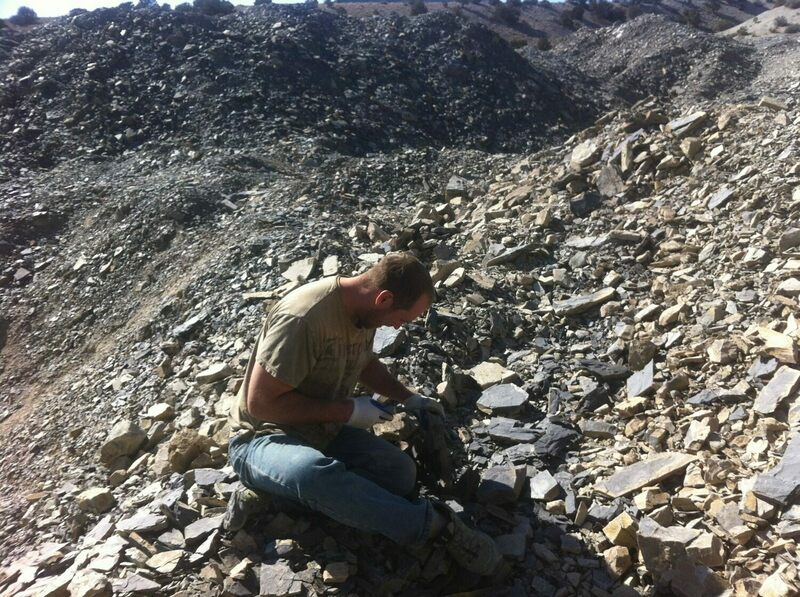 Nearly every split at least yielded parts of trilobites and it wasn’t long before I was finding complete Elrathia, the most common trilobite in the quarry. 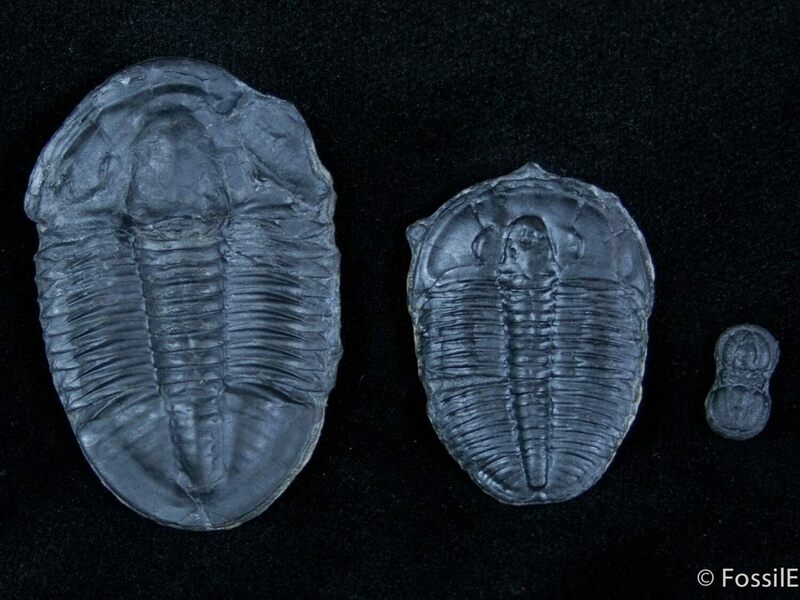 Most of the trilobites that you find are molts. Like lobsters, trilobites molted as they grew, discarding their old shell. A trilobite molt can be identified because it’s missing sections on the side of each head typically referred to as “free cheeks”. 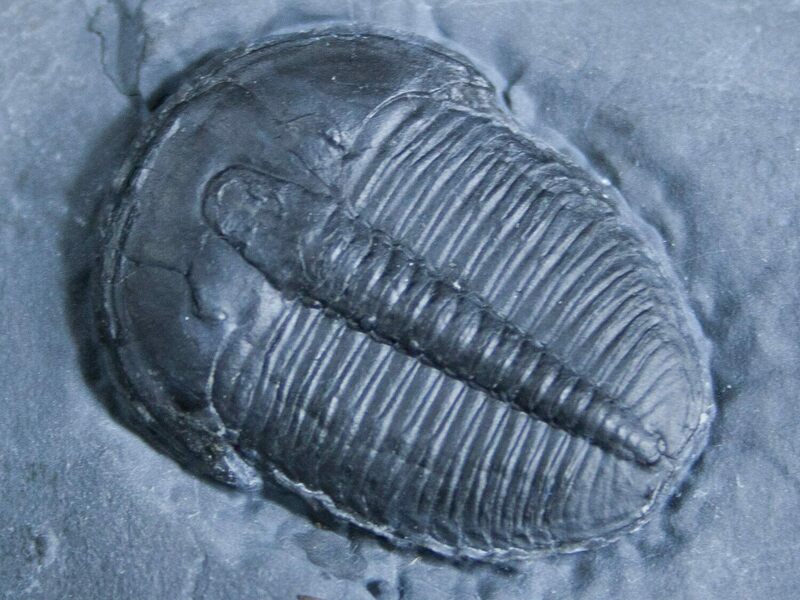 Most of the trilobites at U-Dig are relatively small, under an inch. Occasionally a nice big 2 inch long Asaphiscus will be found, but that is a real prize. 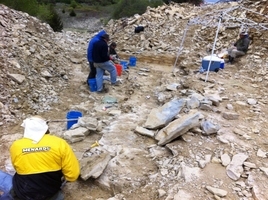 One of my favorite things about digging at U-Dig is “seeding” the quarry for any kids that might be digging nearby. 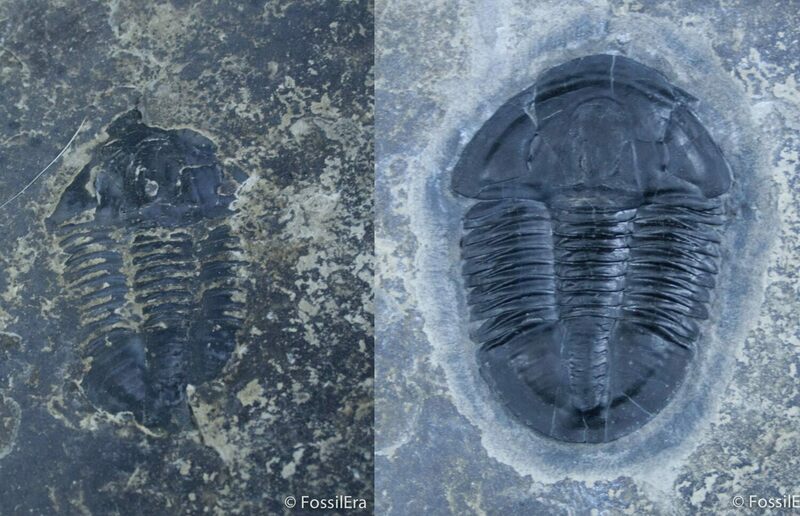 It’s fun to place a nice big trilobite face up on a rock and mention, “you should try digging over there”. Then watch as they run back to their parents with a big smile on their face to show off their find. I split shale for five or six hours straight without taking a break, challenging myself to see how many trilobites I could find in the day. By the end of the day I had quite a pile to sort through. I kept the best specimens leaving the remainder scattered in piles around quarry for kids to find. My keepers were about two dozen Elrathia, three good Asaphiscus including one close to 2 inches, and several multiple plates of smaller trilobites. Nothing I would consider rare, but still a nice little haul. Most of thee trilobites I found at U-Dig still needed to be prepared as there was still rock on top of them obscuring much of the detailed shell. Typically at the quarry for their commercial collecting operations they prepared them using a wire brush on a grinding wheel. 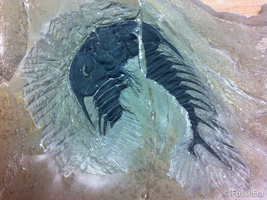 While economical and efficient this tends to remove some of the surface detail from the trilobites. I have an air abrasive unit, so I was able to prepare the ones I found under microscope. While taking more time it yields better detail. Some examples can be seen below and are for sale on FossilEra. Asaphiscus wheeleri before and after preparation under microscope.